We want to welcome a new friend to the CVR blog StormingTheBase.com, which is world famous for their selection of industrial and gothic music on the net. 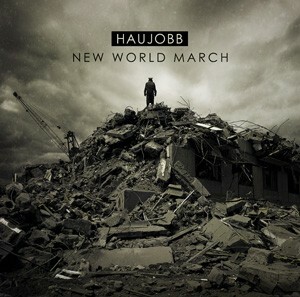 To kick off our freindship, we have a contest that features Haujobb's 2011 release 'New World March' on high-quality 2LP vinyl, which is limited to 250 copies worldwide. The double-vinyl includes two bonus tracks never before released on any Haujobb album (and previously digital only). Includes two bonus tracks never before released on any Haujobb album (and previously digital only).